Posted on 28/07/2013, 22:04, by admin, under Photogallery. Posted on 28/07/2013, 21:58, by admin, under Race News. 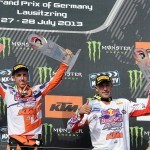 Ancora due piloti del Red Bull KTM team sul podio. 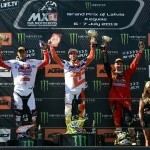 Cairoli vince. Posted on 14/07/2013, 22:48, by admin, under Race News. Posted on 14/07/2013, 22:28, by admin, under Photogallery. Posted on 07/07/2013, 23:18, by admin, under Race News. 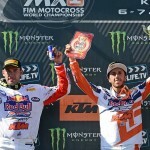 GP di Lettonia: Cairoli primo, De Dycker secondo. Posted on 07/07/2013, 21:11, by admin, under Photogallery.